There are no Druze in the world who can claim a better and freer life than the Druze citizens of Israel. Don’t you understand, without the Jewish nation there would be death and suffering here like in the rest of the Middle East? Don’t you understand, without the Jewish nation here that suffering would soon extend to Europe? Don’t you understand, the Druze want Israel to be strong, the Druze need Israel to be strong; otherwise, we disappear like the other minorities decimated by Islam? Doing what is right for the Jewish people is doing what is right for the Druze people. Doing what is right is having the confidence to state the obvious: Israel is a democratic and Jewish state. To state the Jews have been here for more than 3,000 years, that the Jewish nation has a unique right to a national home in the whole Land of Israel. Taking your place among the nations of the world, which has 82 Christian countries and 56 Muslim countries. All this noise about the new nation-state law proves that the Jewish national identity is under attack. It’s time to make it clearer. One flag, blue and white with the Star of David at the center; the capital Jerusalem; one anthem, “Hatikva”; one language, Hebrew; one land protecting and raising many people of many faiths, but only one unique Jewish people with rights to a nation. When I sing “Hatikva,” I sing it with pride, and I identify with the challenges the Jewish people have gone through to return to their national home. My biggest concern is when I see naïve Jews; there are Jews who are non-believers, who think they know better. I guess 2,000 years in exile still adversely affects their psyche. In recent days, we have witnessed the evil attempt of the leftist organizations and the New Israel Fund, which are trying to break apart the important alliance between the Druze citizens of Israel and our Jewish brethren. 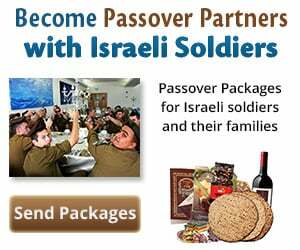 They forget we have a shared covenant that dates back to the days of Yitro (Jethro), our Druze prophet, and Moses. Yitro advised Moses back then, and it was accepted by the Jewish Nation. Today we continue that covenant with pride. 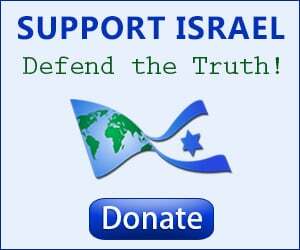 The New Israel Fund and other haters of Jewish tradition have found a fault line, and are pushing to cause a rupture between our Druze brothers and Jews. Do not allow it to happen! They strike when the Jewish nation thinks it is weak or “enlightened.” But the Jewish nation is not weak; it is strong, your light is your Torah, your prophets, your heritage and your people. I have told my Druze brothers not to fall into this foolish trap set by the left. My fellow Druze, we should use this law as an opportunity: We should encourage our children to learn more about Jews—their deep connection to Jerusalem, Hebron and all the Land of Israel—just as I believe that Jewish children should know more about who the Druze are. So many of our children are poorly educated on why our Jewish brothers have rebuilt this nation here. This has to change. 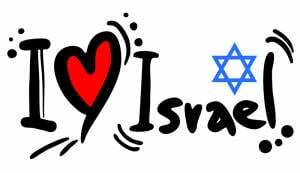 You should know that the nation-state law does not deprive us in the least; most importantly, it enshrines in law the indisputable fact that Israel is the nation-state of the Jewish people. 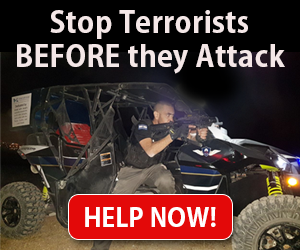 It is in our clear interest to protect this important alliance just as we, and so many of our children, continue to protect the state on the front lines of the Israel Defense Forces. Because the left is hungry for power, it is prepared even to destroy the unique status of the one and only Jewish state. Their goal is to supress and even remove its Jewish character, and turn it into a just another state of all its citizens. The left is not interested in the Druze; the only thing they are interested in is bringing down the government, and they don’t care what they destroy to do this. They try to use us, and obviously will toss us away once they’re done. Atta Farhat, head of the Druze Zionist Council, is an Israeli Druze and a supporter of the Jewish nation and the new Nation-State Law. This article was first published on JNS.org.